Some people collect stamps. Others collect porcelain miniatures. [David Viens] collects voice synthesizers and their ROMs. In this video, he just got his hands on the ultra-rare Electronic Voice Alert (EVA) from early 1980s Chrysler automobiles (video embedded below the break). Back in the 1980s, speech synthesis was in its golden years following the development of TI’s linear-predictive coding speech chips. These are the bits of silicon that gave voice to the Speak and Spell, numerous video game machines, and the TI 99/4A computer’s speech module. And, apparently, some models of Chrysler cars. We tracked [David]’s website down. 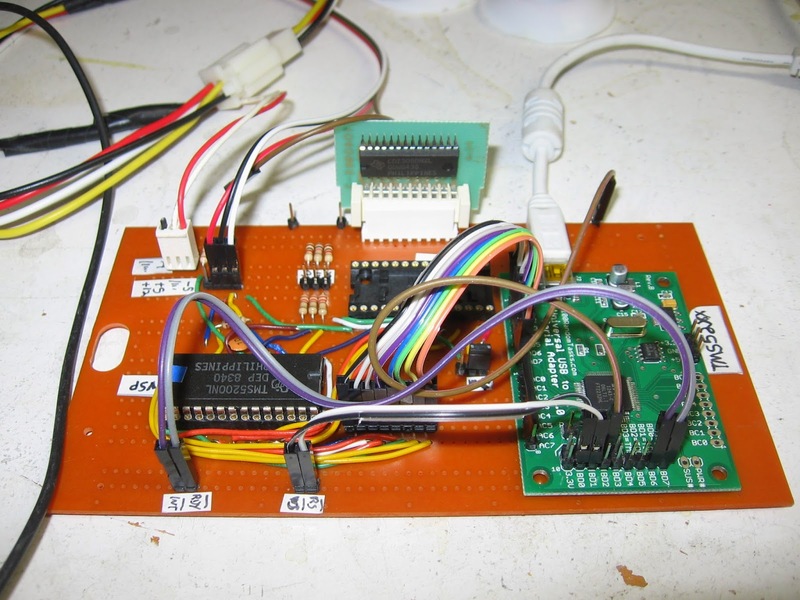 He posted a brief entry describing his emulation and ROM-dumping setup. He says he used it for testing out his (software) TMS5200 speech-synthesizer emulation. The board appears to have a socket for a TMS-series voice synthesizer chip and another slot for the ROM. It looks like an FTDI 2232 USB-serial converter is being used in bit-bang mode with some custom code driving everything, and presumably sniffing data in the middle. We’d love to see a bunch more detail. The best part of the video, aside from the ROM-dumping goodness, comes at the end when [David] tosses the ROM’s contents into his own chipspeech emulator and starts playing “your engine oil pressure is critical” up and down the keyboard. Fantastic.